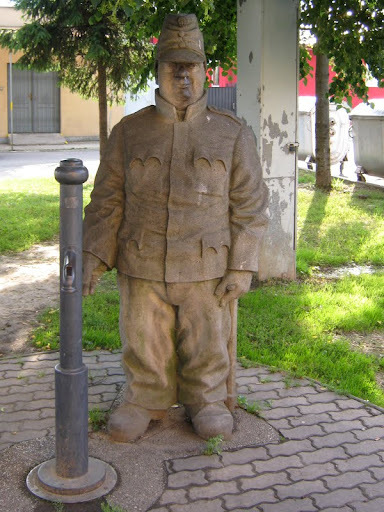 When Good Soldier Švejk was visiting Humenne, he decided to go for a small walk and sightseeing. 1. Take the photo of you (or your GPS) with Švejk. Upload it to the log.